Barj S. Dhahan is a graduate from the University of British Columbia and Regent College. He is the founder/chief executive officer of Sandhurst Group of Companies specializing in real estate development, petroleum retail and distribution, and food service operations. Barj and his family have been active in the Canada-India corridor since the mid-1980s. In 1991, he became the founding president of Canada-India Education Society (CIES), a registered Canadian charity (www.cies.ca). The University of British Columbia’s School of Nursing joined with CIES in 1998 to create an exciting and pioneering international nursing partnership with Guru Nanak College of Nursing at Dhahan-Kaleran (founded by Barj’s father). This partnership produced advances in rural development, primary health care practice, research and education within that region by building Canada-India linkages in higher education and research. CIES has been an outstanding community organization with a focus on rural development through health promotion and education in Punjab, India in partnership with Guru Nanak Mission Medical and Educational Trust. Nearly 2,000 young women have graduated from their nursing programs with about 50 % of them now living and working abroad in Canada, United Kingdom, United States, and the Middle East. Through Barj’s networking, community connectivity, and fundraising efforts, sanitary and waterworks, lane paving and solar lighting projects have been completed in the villages of Daulatpur and Dhahan in Shaheed Bhagat Singh District, Punjab. Funding for these projects came from Canadians and local village communities on matching grants from the State of Punjab. These two projects have cost nearly $ 1 million Canadian in addition to valuable in-kind contributions. Barj has been a passionate advocate for greater bilateral collaborations between India and Canada. This has led to the establishment and funding of two major centres in Canada – the Canada-India Centre for Excellence (CICE) in Science, Trade, Technology and Public Policy, Carleton University, Ottawa (carleton.ca/india) and the Canada India Research Centre of Excellence (IC-IMPACTS), University of British Columbia (ic-impacts.com). The annual Dhahan Lecture is a signature event at Carleton University facilitating dialogue on Canada-India relations with highly influential leaders such as Dr. A.P.J. Abdul Kalam (former president of India), Dr. Montek Singh Ahluwalia (former co-chair of the Planning Commission of India), Mr. Shekhar Gupta (Journalist), and Ms. Chanda Kochar (Managing Director and CEO of ICICI). Barj continues to serve as a founding donor and member of the Governing Council at CICE and as Board Chair of IC-IMPACTS. Barj has extensive board experience having served as the National Chair of Canada-India Foundation (canadaindiafoundation.com), and board member of the Industry Training Authority of British Columbia and the Royal Roads University. 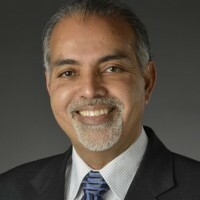 Currently, he is a member of the India Advisory Council, Simon Fraser University, Burnaby, BC, advisor to the Vice Chancellor and International Committee of Baba Farid University of Health Sciences, Faridkot, Punjab, India, and member of the Vancouver Police Board and the Canadian Association of Police Governance. In 2013 Barj founded the Dhahan Prize for International Punjabi Literature (www.dhahanprize.com), the richest literary prize in South Asian languages. In 2016 Barj worked with the University of British Columbia to create a $400,000 fund to award twenty $20,000 Centennial Scholarships for Indigenous and Aboriginal students during their four-year study programs. Barj and Rita Dhahan live in Vancouver and have three adult children and two grandchildren. He is a certified Yoga teacher and loves gardening, reading, and hiking.